With summer passing us by, I'm not quite ready yet to start the school year. One thing I'm already looking forward to, however, is back to school shopping! 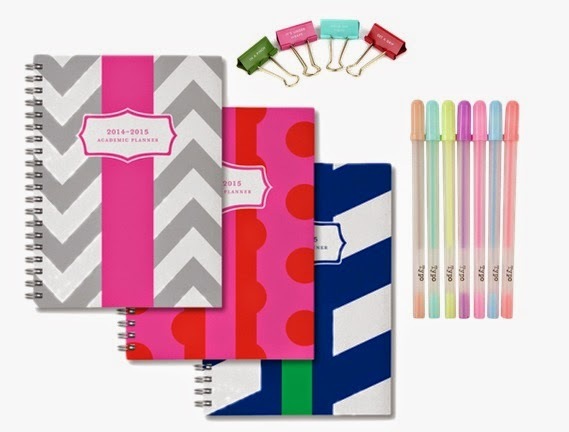 My weakness, besides shoes, is cute school supplies. During summer, it's easy to forget that juggling a full course load, a part-time job, and extra-curricular activities is not easy. It’s nice to have something to write down assignments, exams, and important events in, and it really does help me keep organized. Although you can easily use a calendar app on your phone these days, I find that writing things down helps me figure out my schedule better. I personally love using these colorful Pilot G-2 gel pens to plan my days. I also use my planner to write down some short term and long term goals. Do you use a paper planner?